Activity at Mitsubishi dealerships is somewhat subdued these days with just three vehicle nameplates for sale. Things are about to perk up, however, as the Eclipse Cross arrives this spring. 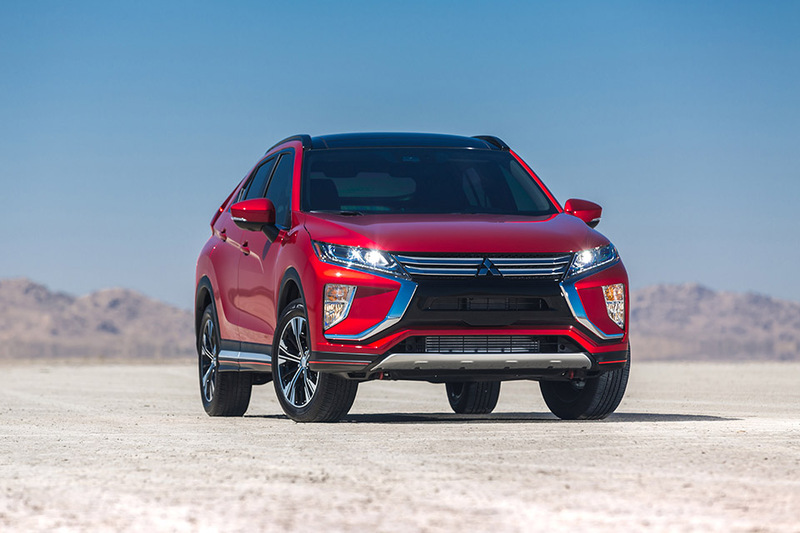 Now part of the Renault-Nissan alliance, Mitsubishi made the right call by creating the Eclipse Cross, even though some people might find using the Eclipse name (originally applied to a sporty coupe and convertible) inappropriate. The compact utility vehicle slips between the RVR and larger Outlander in the automaker’s wagon lineup, adding to the selection of a hotly contested category. Although the Eclipse Cross is new, the foundation has been adapted from the automaker’s other utility vehicles. That means the space between the front and rear wheels is identical for all three. For overall length, though, the Eclipse Cross is 10 centimetres longer than the RVR and about 30 shorter than the Outlander. The Eclipse Cross also resembles the RVR in many ways, except for the former’s flashier front-end that appears to be inspired by Lexus. At the rear, an oddly positioned light bar extends between the tail lamps, splitting the liftgate’s glass nearly in half. 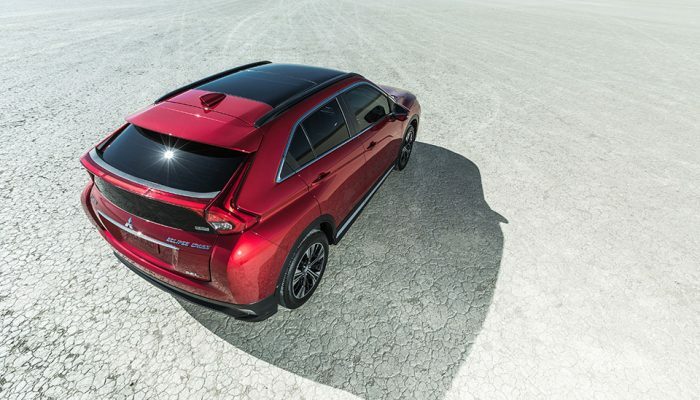 Drivers following after dusk will be treated to a unique LED show (especially when the Eclipse Cross’s brakes are applied), but during the day the quasi-spoiler could prove less visually appealing. 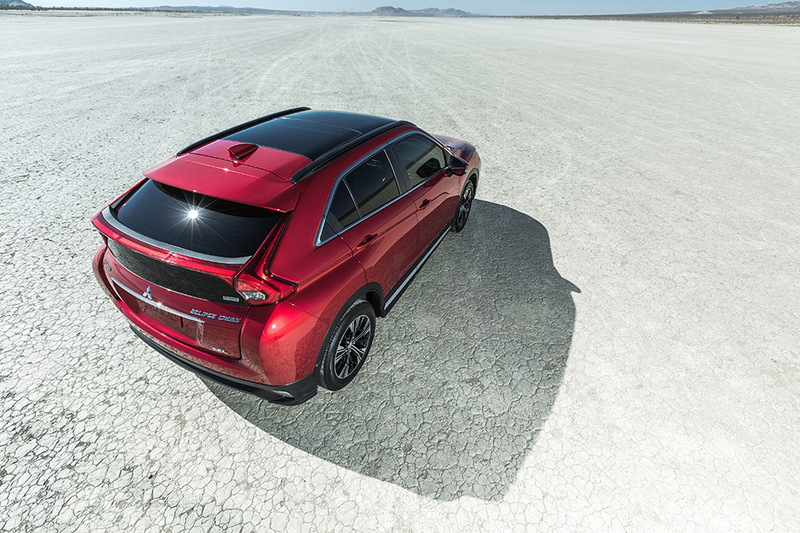 Ultimately, the latest Mitsubishi won’t suffer from stylistic anonymity, but its sloping fastback shape reduces stowage capacity behind the rear seat and provides less volume than the RVR. The good news is that the interior is spot-on with the times. 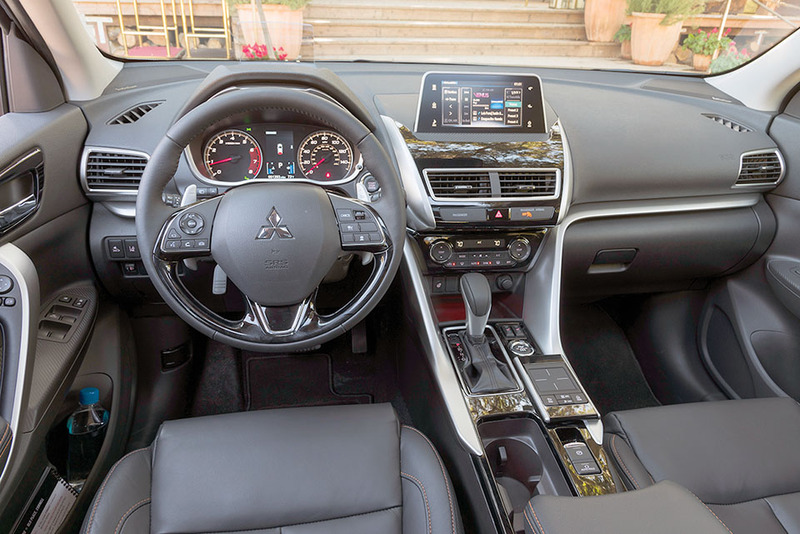 A finger-operated track pad on the centre console controls the communications and audio functions that are displayed on a seven-inch tablet-style touchscreen. Other buttons fall readily to hand on the steering wheel. The trim on the dashboard, door panels and floor console have that satin-nickel look that nicely contrasts with darker dashtop and seats, while the optional folding head-up screen shows pertinent information such as vehicle speed and active-safety-technology status. The standard split-folding rear seat can be adjusted fore and aft by up to 20 centimetres and reclines through nine positions. The Eclipse Cross has a new turbocharged 1.5-litre four-cylinder engine that puts out 152 horsepower and 184 pound-feet of torque. That’s more torque than either of the two non-turbo four-cylinders that the RVR and the Outlander run with, but it’s likely not enough to make key competitors quake in their boots. The engine is backed by a continuously variable transmission with eight built-in ratios. Fuel consumption is rated at 9.6 l/100 km in the city and 8.9 on the highway. All Eclipse Cross trim levels come with Super All-Wheel Control (S-AWC) that can direct a precise amount of torque to each wheel. It can also apply braking to the inside rear wheel during a turn (a version of torque vectoring or yaw control). Traction settings include AUTO, SNOW and GRAVEL. 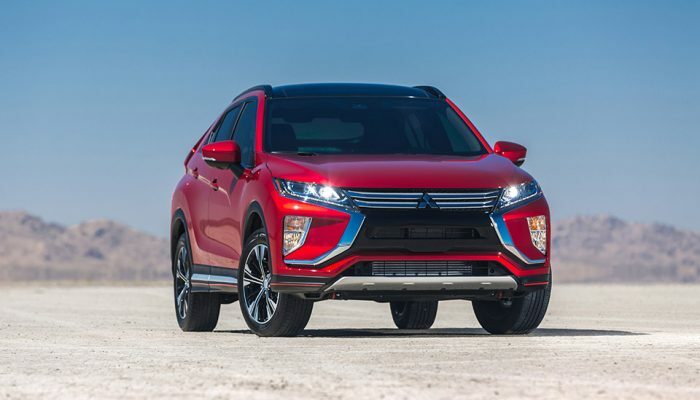 The base front-wheel-drive Eclipse Cross ES sells for $29,250, including destination charges, which is only about $800 more than an all-wheel-drive RVR. That gets you a reasonably equipped machine with climate control, heated front seats and outside mirrors and 18-inch alloy wheels. 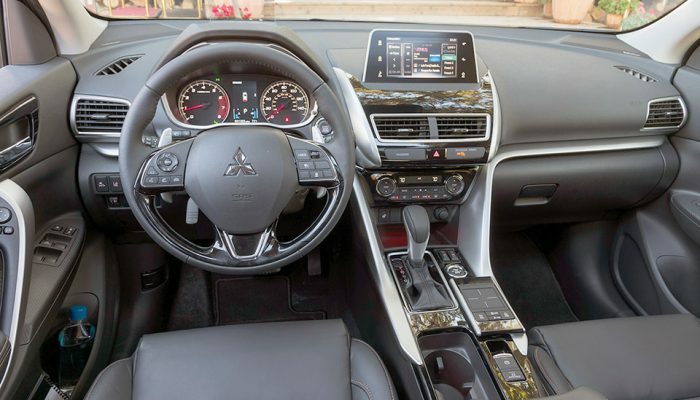 The SE adds dual-zone climate control, upgraded audio system, rain-sensing wipers and paddle shifters, The loaded GT comes with a dual-pane panorama sunroof, leather-covered seats, premium Rockford-Fosgate-brand sound system, head-up display and a multi-view rear-view camera. In addition, a range of dynamic-safety technologies such as emergency braking are also part of the GT trim. Had Mitsubishi’s fortunes been different, the Eclipse Cross might have been the RVR’s replacement. Going forward, it will be interesting to see what influences and advancements Renault-Nissan introduces to what will likely become an expanding Mitsubishi stable. 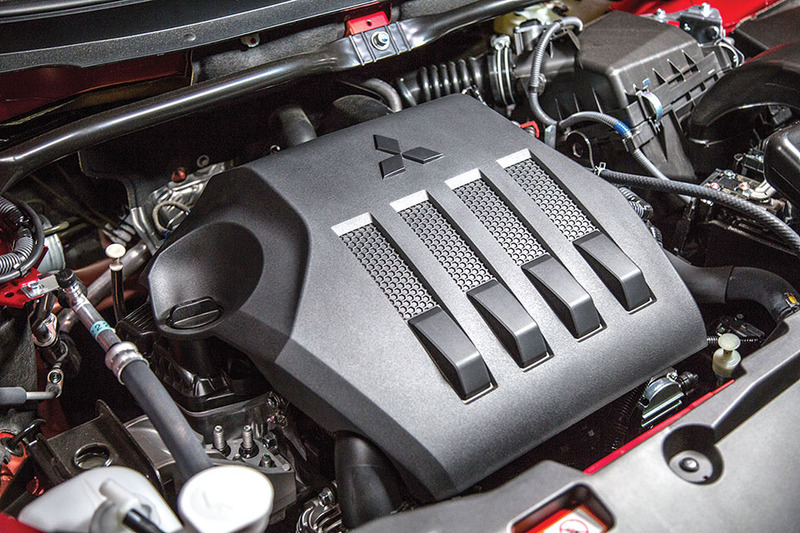 Market position: To bolster its product-deficient lineup, Mitsubishi has added a third utility vehicle. This should mark the beginning of more product launches now that Renault-Nissan Alliance has assumed control of the automaker. Points: Overall styling is attractive, despite controversial liftgate-mounted light bar. • Interior appointments are high tech in style and content. • New turbocharged engine is torque-rich, but could still use more power. 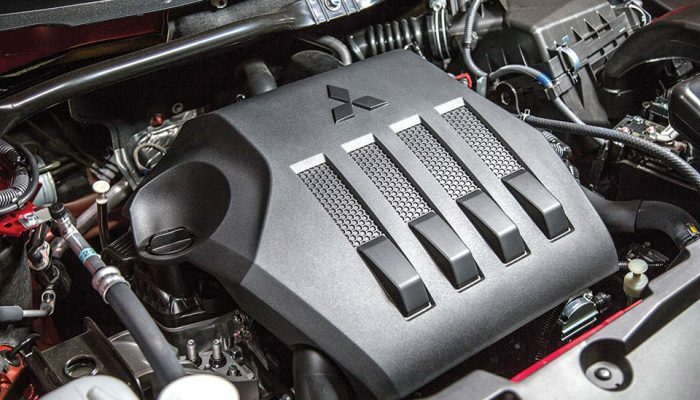 • Mitsubishi’s AWD system is considered one of the best. • Rear-seat passengers are treated to a comfortable environment. L/100 km (city/hwy) 9.6/8.9; Base price (incl. destination) $29,250. Well-regarded model can be had with a strong-running 240-h.p. turbo engine. The smaller version of the Rogue is about the same size as the Eclipse Cross. A bit larger than the Eclipse, with three engine choices that top out at 245 h.p.